Difficult translation sections are included in the ordination exams of various denominations. Candidates are required to show their proficiency in both Greek and Hebrew, in order to demonstrate their competence in handling the texts they are to preach from the Word of God. In both countries an essential part of the ordination exam ought to be a passage from some recognized theological work set for translation into vulgar English–just like doing Latin prose. Failure on this paper should mean failure on the whole exam. It is absolutely disgraceful that we expect missionaries to the Bantus to learn Bantu but never ask whether our missionaries to the Americans or English can speak American or English. Any fool can write learned language. The vernacular is the real test. If you can’t turn your faith into it, then either you don’t understand it or you don’t believe it. Nearly 60 years ago, before all the talk about contextualization was hip, and Lesslie Newbigin taught everyone that Western Culture was a mission-field too, Lewis was advocating for training in basic cultural literacy on the part of pastors and preachers. He saw the need to learn how to speak “American” and “English”. This is one of the two or three keys to understanding his appeal and genius: Lewis was a brilliant translator. 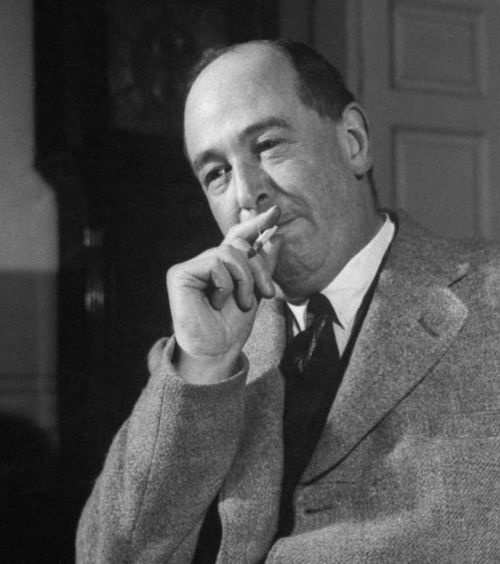 It’s only years (and a number of heavy theological treatments of the subject) after reading Lewis’ treatment of the Trinity at the end of Mere Christianity that I can appreciate its disguised brilliance. It’s plainly-stated Athanasian and Nicene orthodoxy for beginners. As an absolute statement, it might be bit of a stretch to say that if it can’t be put in the vernacular, it probably isn’t understood or believed (cf. certain finer points of trinitarian doctrine such as the filioque, etc.). Still, as a general test for how well you actually grasp most of your professed theology, I’ve found it quite helpful. Teaching basic catechetical courses to youth or new believers is often a more challenging proposition than writing a paper for grad-level seminary courses. Theologically-minded Protestants especially need to take heed of this. It’s fine to celebrate Luther, Calvin, Tyndale and the rest of the Reformers for giving the Bible back to the congregation through their vernacular Bible translations and worship. We need to be careful we don’t take it away from them again in rarified preaching filled with abstract, unexplained theological jargon. I have no problem with doctrinal preaching or using big words like ‘justification’ or even ‘perichoresis.’ They are good and fine and necessary. We just need to be careful we regularly use a lot of little words to explain them for those folks without seminary training. To insist that our hearers always come up, unaided, to your theological level is “shameful”, and an implicit denial of the Gospel of a Word who comes among us by taking on our flesh–1st Century Jewish flesh, to be exact.